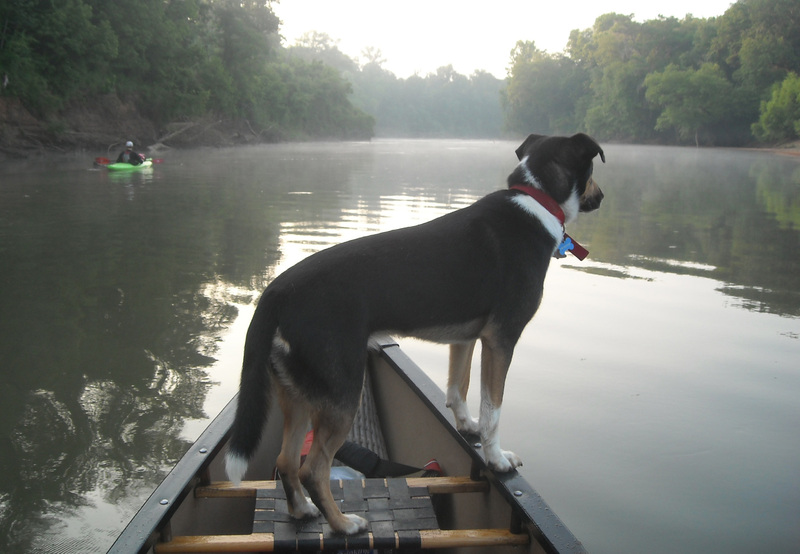 Oconee (the Scouting Dog) takes in Oconee (the river) in this obligatory dog in the bow photo that has become standard fare during the past six months. Oconee reports that the water is great but the insects are bothersome. I am afraid to report that along the floodplain forests of the Oconee River, there are quite a few more than one mosquito…plus gnats, horseflies, heat, humidity, alligators, wild hogs, water moccasins…did I mention heat. But, there’s a heck of a lot of fun and beautiful paddling too. GRN Paddle Georgia intern Alex Robertson cruises past one of the Oconee's numerous sandbars. what we encountered–sycamore, cypress, spanish moss, willow, river birch, magnolia, gar, mussels, snakes, alligators, soft-shell turtles, river cooters, Louisiana water thrush, Mississippi kites, little blue herons, snowy egrets, great egrets, great blue herons, green herons, night herons, barred owls, ospreys, turkey vulture, black vultures, wild turkeys, ducklings, wild hogs, beavers, deer and…you won’t believe this–one tiny chipmunk swimming across the river. A view of the Oconee River below Milledgeville after a month without rain...just kidding! It is, however, the former channel of the Oconee in an oxbow cut off from the river's main channel during flooding in 2009. Traveling through the Coastal Plain heat, then, is not without its rewards. Frequent submersions in the Oconee’s cool water are not the least of those rewards. Stay on the river (and in the river) and the mosquitoes let you be. smart like that, and he’d really rather not take a boat out of the water if he doesn’t have to. Barnett Shoals will require a carry though…assisted by vehicles and trailers, but viewing this historic structure is worth the extra effort. It’s a century-old industrial relic. Low water has transformed ordinary snags into cross-river strainers at a couple of locations along the Paddle Georgia route in Baldwin and Washington counties. The Oconee in the Coastal Plain is a different animal at summer low flows. Our first scouting trip was in the winter after steady rains, but the basin that feeds the Oconee has received just three percent of the average rainfall for May and the Oconee below Sinclair Dam is looking droughty. Enough that snags that were passable in the winter now block the river’s entire width–we had to pull our boats a short distance across a sandbar to get around one. We weren't quick enough to catch any alligators or turtles, but we fared much better with the slow-moving mussels. And, finding the deep channel in the shifting sands of the coastal plain was a constant struggle as the river wound upon itself through the floodplain forest. Yes, we were forced out of our boats on several occasions, but not so often that it became frustrating. 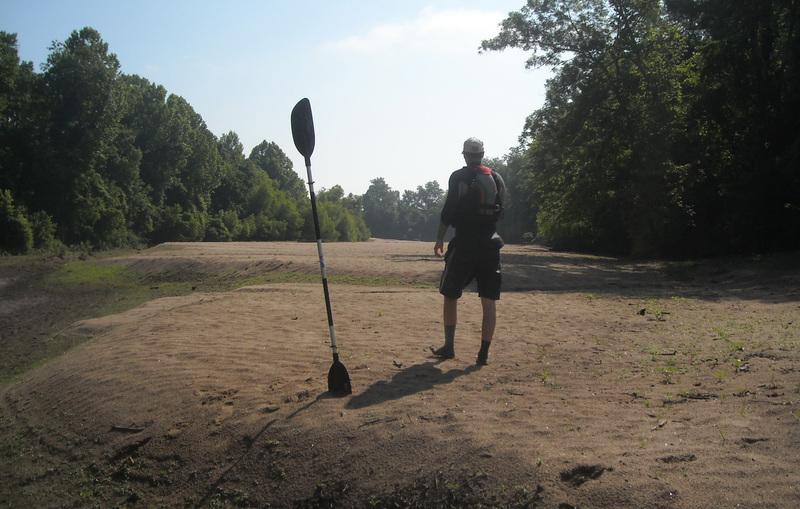 Veterans of Paddle Georgias on the Ocmulgee and Flint will recall those frustrations. These conditions will make the last two days of our journey (back to back 20-mile days) a true test of endurance. 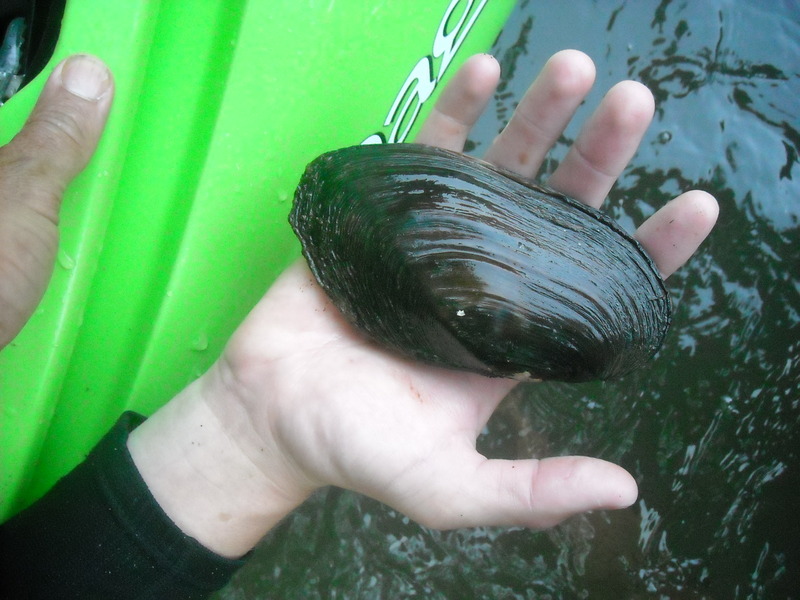 With any luck the rains will return to lift water levels slightly, but for now the great advantage is that the river’s features are revealed–from its occasional rocky outcrops to its sandy bottom filled with mussels. We’ve got a great trip ahead of us and we’re looking forward to another wonderful seven days exploring the Oconee.